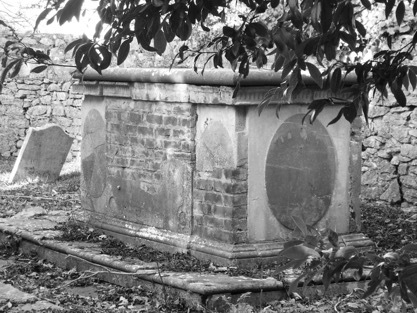 Our thanks to Angela Coles for this article on Gulliford Burial Ground. 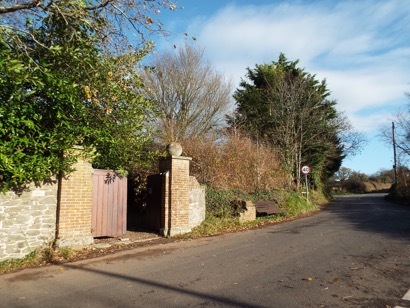 Gulliford Burial Ground lies in Meetings Lane (reference to the Meeting House) and the top of Strawberry Hill, Lympstone. A Presbyterian and later Unitarian site going back to the 17th century to a time of religious upheaval and risk of imprisonment to those not toeing the religious line. The first chapel was built in 1687, the band of dissenters grow made up by the new middle classes to humbler locals from Lympstone, Woodbury, Ebford, Exmouth & the surrounding areas, often with a dozen carriages parked outside, not an easy journey on unmade roads. A violent riot broke out at one time, with rioters entering the chapel and smashing windows, reminding the congregation of the risk of worshipping outside the established church. In 1774 a further plot of land was donated to extend the site for a second larger chapel to be built to replace the original chapel, which was now too small for the extra congregation. 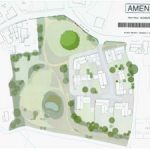 A ruling was made at the time that the new meeting house must not be used as a burial place for the dead, with all burials performed in the graveyard (hence the lack of headstones at the back of the site today). Yearly donations from the congregation funded the site; Thomas Smith (Queen Anne House, Lympstone) gave £2, Joseph Nutt of the Lympstone pirate family gave 4 shillings in 1733. In 1786 it was decided that each person should pay two shillings a year for a pew, records show that some people also paid for their servant’s seating, as well as shares bought by the trustee in the South Sea Stock. This paid for the salary of the Minister & the building upkeep. In 1853, the cost of a marriage for a subscriber to the chapel was, 10s 6d for the Minister, 2s each for the Clerk & Sexton. Baptism was 1s for the Minister, 9d for both the Clerk & Seaton. A burial resulted in the Minister getting £1 1s, the Clerk & Sexton each getting 2s 6d. Permission for a common grave was 10s 6d, permission for a headstone 10s 6d and permission for a tomb with or without a rail £3 3s. Burial at Gulliford include Worthington Brice, a merchant whose business comprised the whaling industry based at his home at Parsonage Stile, Margaret & Charles Baring whose family were the banking dynasty from Courtlands, Brice Wakeford Lee of Ebford Barton, a Major-General in the Indian Army, and George Mason, aged just 25, and a talented artist whose work hung in the Royal Academy. By the end of the 19th century, the laws of dissenters had relaxed, new chapels were built in Exmouth & Topsham reducing the need to travel so far. The Methodists too had a new chapel, having for years hired the no longer used Dissenters chapel in Church Road, next to the Redwing (hence the former name The Vaults) and where Ellenthorpe now stands. The congregation was down to about ten with a minister who cancelled without notice, the roof was unsafe, repairs neglected and finally in 1907 the chapel was demolished. References to David Keeper “Dissent in Woodbury & Lympstone” 1976 and to the authors own research & photos, Angela Coles 2017.